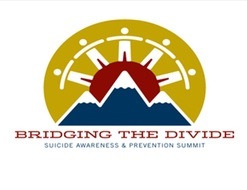 Space is still available to participate in 6th annual Bridging the Divide: Suicide Awareness and Prevention Summit where community members can learn the latest research and strategies to reduce suicide rates in Colorado. The event takes place Friday, May 17, at the Denver Tech Center Marriott. More than 200 suicide prevention and mental health professionals, survivors of suicide, clinicians, educators and others will gather at the Denver Tech Center Marriott Hotel on Friday, May 17, from 8 a.m. to 4 p.m., to learn more about how they can have an impact on lowering the suicide rate in Colorado. In addition, the conference will recognize the innovation and success of the Man Therapy campaign, launched by the Colorado Department of Public Health and Environment, Cactus Marketing and the Carson J Spencer Foundation in July 2012. Man Therapy provides a unique approach to men’s suicide prevention and other mental health issues. The campaign targets men age 25-54, who are at a high risk for suicidal thoughts but who often do not ask for help. For more information or to register for the conference, go to suicidepreventioncolorado.org. If you or someone you know is suicidal, please call the 24-hour suicide prevention lifeline at 1-800-273-TALK (8255).